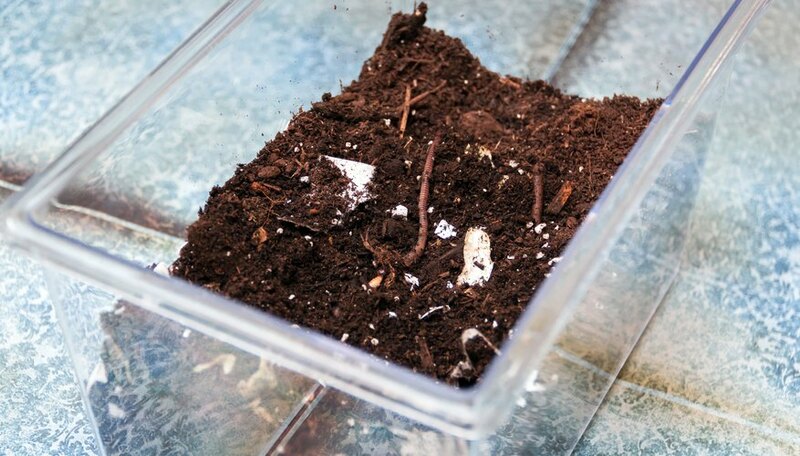 Even space-challenged gardeners can turn household scraps into rich compost with the help of an indoor worm farm. 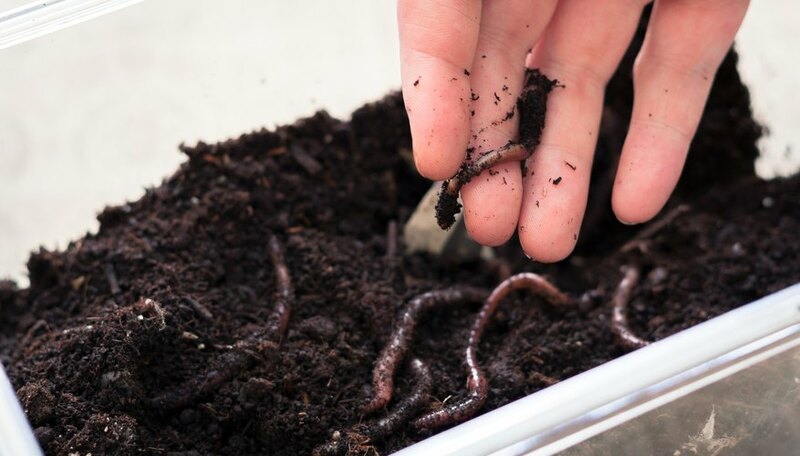 In exchange for nitrogen-based, non-acidic scraps, worms deliver nutrient-rich castings that help plants thrive. Released in the garden, worms also aerate garden soil. While true nightcrawlers don't excel at indoor composting, red worms -- also known as red crawlers or red wigglers -- do. With just a little care and a simple box, your worm farm can produce valuable fertilizer and extra aerators for your garden space. 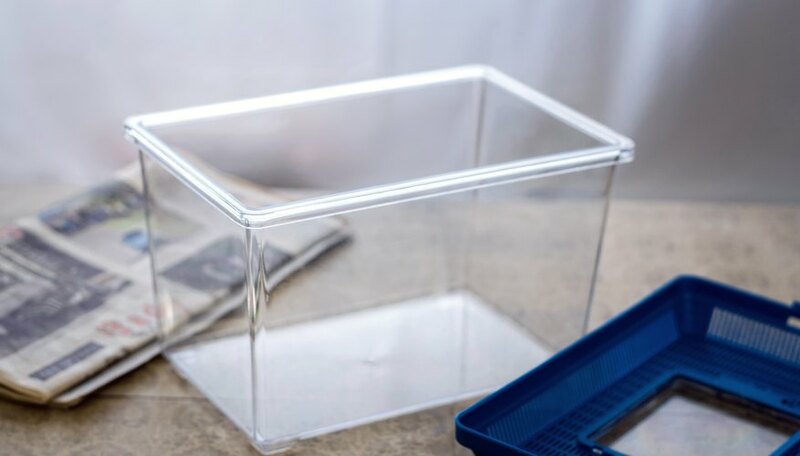 Prepare a watertight, plastic box for your worm farm's foundation. Any size that fits your space will work. For example, 7 inches deep by 9 inches wide and 14 inches long is sufficient. The box should block out light. If it is clear, cover it with newspaper to keep worms in the dark. 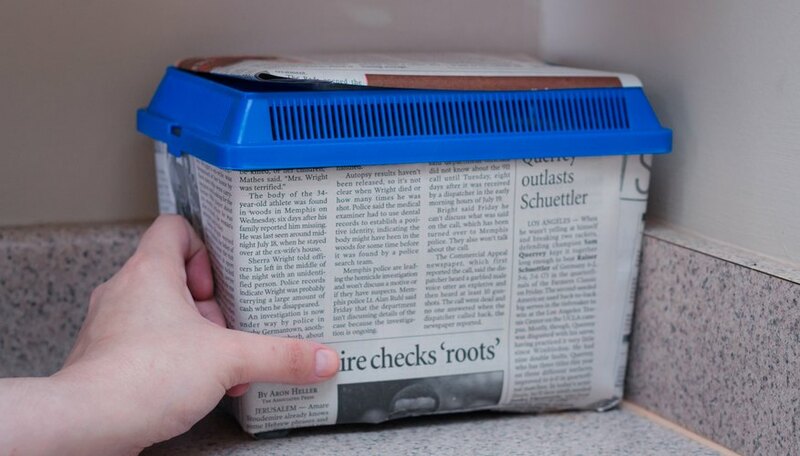 Shred the newspaper and place it in your plastic box. 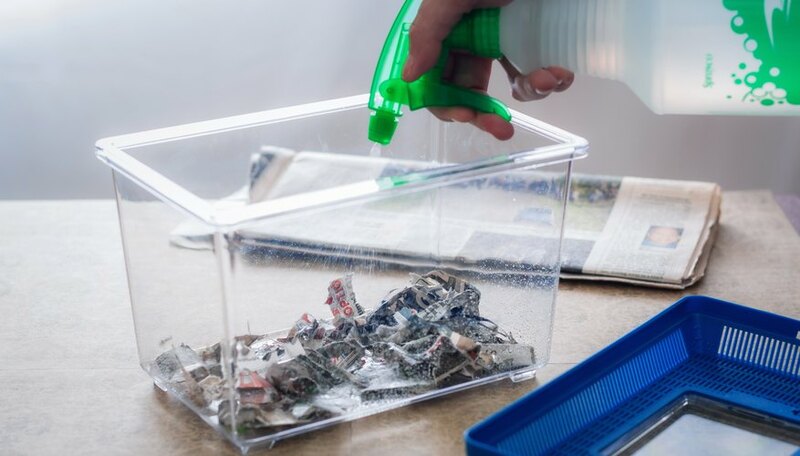 Spray the shredded newspaper with water from your spray bottle until the paper is damp, but not dripping wet. 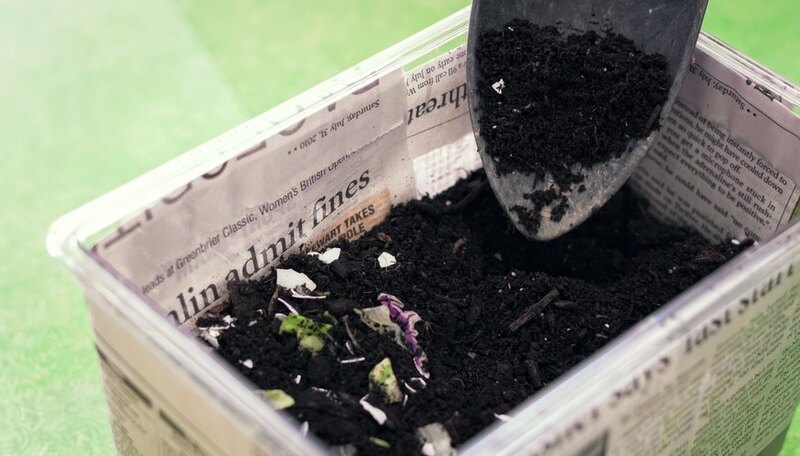 Add garden soil to the box, and thoroughly mix the soil and the shredded newspaper together. Spray the mixture with the water bottle to moisten the soil. Keep it light and fluffy, not packed down. Worms do not like compacted homes. Crush two or three cooked eggs shells, and mix them into the soil and newspaper mix. Add red worms or tiger worms, if possible. Garden worms and true nightcrawlers do not do as well in worm composting bins. Bait shops and many hobby stores sell worms. Place the box in an out-of-the-way place away from the light. Worms prefer darkness. Never set your worm box in direct sunlight, and keep the box at room temperature for best results. 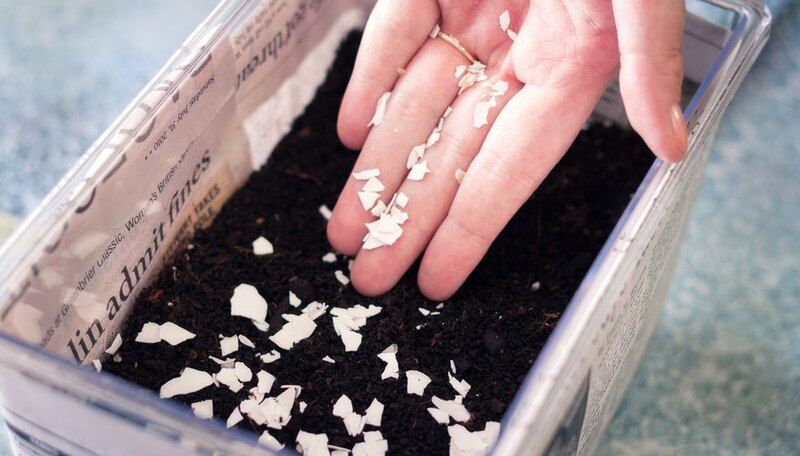 Add table scraps to your worm farm regularly along with more crushed, cooked egg shells. Pieces of non-citrus fruits and vegetables are excellent worm food. Citrus fruits have too much acid, as do coffee grounds and tea bags, and should not be added to your farm. Do not add salty products such as potato chips, which can harm worms. Harvest approximately one-half of your worm farm every month. Several days in advance, start scraps at one end of the box so worms congregate there. Remove the other half of the soil to use as garden fertilizer. 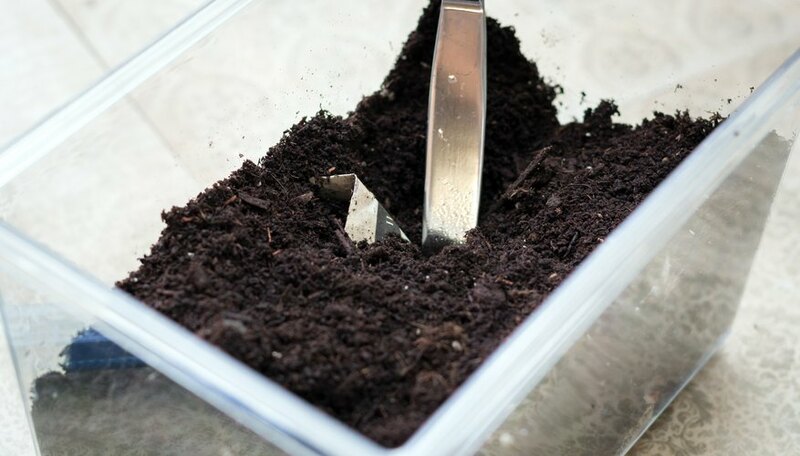 Add new shredded newspaper and garden soil to replace what your remove. Spray with water every few days to keep your box moist and worm-friendly.